The famous fashion designer, Tom Ford, once said” Shoes are always the most important thing for me because they are who you are. They change the way you walk, the way you move." True, the shoes you wear impact not only your style, but also, your personality and body language. Hence, it is essential that you just wear them well; and this fact holds true for both men and women. Apparently, men spend most of their time at workplaces or work-related outings - offices, meetings, formal events, formal dinners etc. ; the foremost utilizable footwear for them is formal shoes. 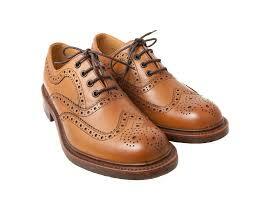 Type 1: Oxfords - The most common of all formal footwear is Oxfords. Oxfords are simple sleek shoes with integrated laces. Elegantly designed, oxfords are an essential pair for all men. Though they're available in the market in many colors, black shoes and brown shoes are commonly used. Styling Tip: Perfect to go with formal trousers or dress pants, it can be used for daily office wear. Avoid wearing with jeans. Type 2: Dress Boots - These boots are sleek and minimalistic style that can be worn with jeans, odd trousers, and suits (in rainy or snowy weather). 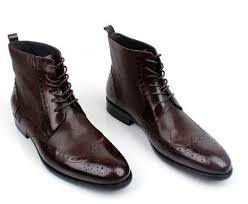 Dress boots are available in many designs like brougai, wing tip, monk strap, and cap pointed-toe. Styling Tip: Use basic, plain boots for semi-formal events sort of a Sunday lunch with clients or an outside meeting with workplace colleagues over weekend or any formal event outside the workplace whereby a full-formal suit wouldn't be applicable. Type 3 – Formal Pumps - A perfect replacement for the oxfords, formal pumps also referred as opera pumps are loafer-like dress shoes created using black leather. These shoes match impeccably with formal outfits and frequently have a shiny texture. Styling Tip: Formal pumps are suited with formal black tie or white tie, formal pumps goes well with tuxedos and business suits as well. Type 4: Monk-straps - Monk-straps are ideal for the unique-shoe seekers. These shoes have buckled straps rather than the laces. They're out there in single and double clasp designs; with colors of the clasps generally being silver, brass, or gold. Styling Tip: Monk-straps attract attention, thus it is suggested to wear them at special events and workplace functions. Make sure that the color of the clasp matches with the color of your buckle, tie bar, cufflinks, and wristwatch. Type 5: Loafers - Comfortable, stylish, and simple to slide on and off, loafers are the perfect footwear for business travels. 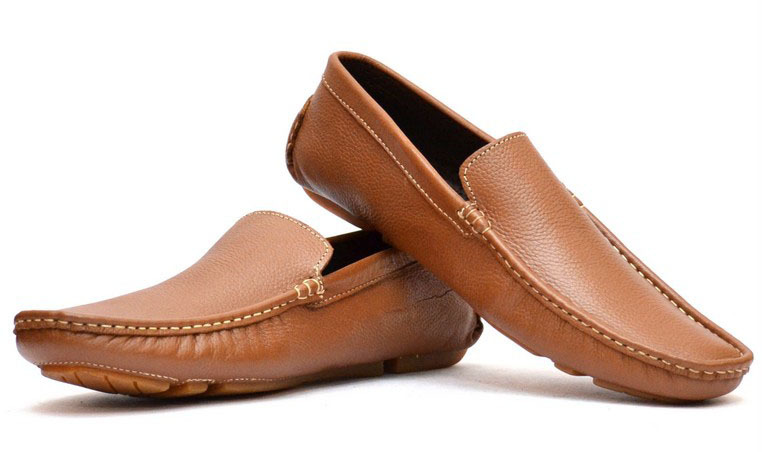 Mostly, loafers are casual, therefore, they go perfect with your semi-formal attires, invest in one that is sleek, dark in color, and intensely simple in style. Styling Tip:Loafers look sensible with suits if you're not carrying a necktie. Also, make sure that the visibility of your socks is less when you are wearing loafers. 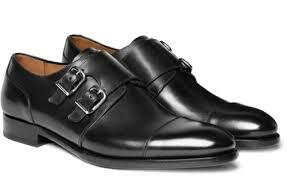 To sum up, formal shoes are footwear that is worn by men most of their time. Thus, it's imperative that they own totally different pairs in varied colors to suit all of their formal occasions, thereby maintaining selection, style, and class.